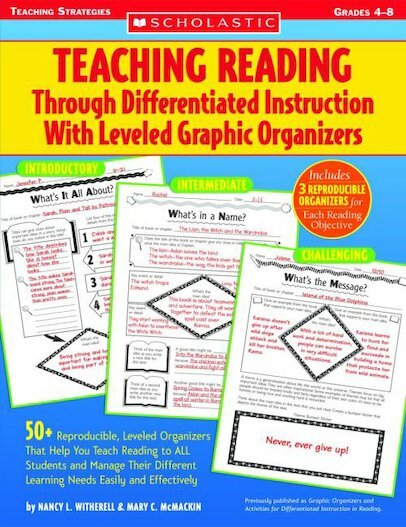 Build reading comprehension skills-and reach every learner-with graphic organizers and activity sheets you can use for any book. Key skills covered include making predictions, identifying main ideas, using context clues, analyzing cause and effect, and many more! Each skill is paired with three student pages designed to support individual learning needs at three levels: introductory, intermediate, and challenging. For use with Grades 4-8.